A program for all ages up to grade 6. Drop in/no registration. Family Story Time is designed to emphasize books and activities that encourage all ages to explore and understand the wider world, to learn problem-solving and social skills, and to appreciate their own creativity. Children crave time with the special adults in their lives. It makes them feel secure. Whether you attend as a whole family unit or as a special one-on-one time, Family Story Time can be a vehicle for this. Adults are encouraged to let go and have fun! Children may wear pajamas and slippers if they wish. 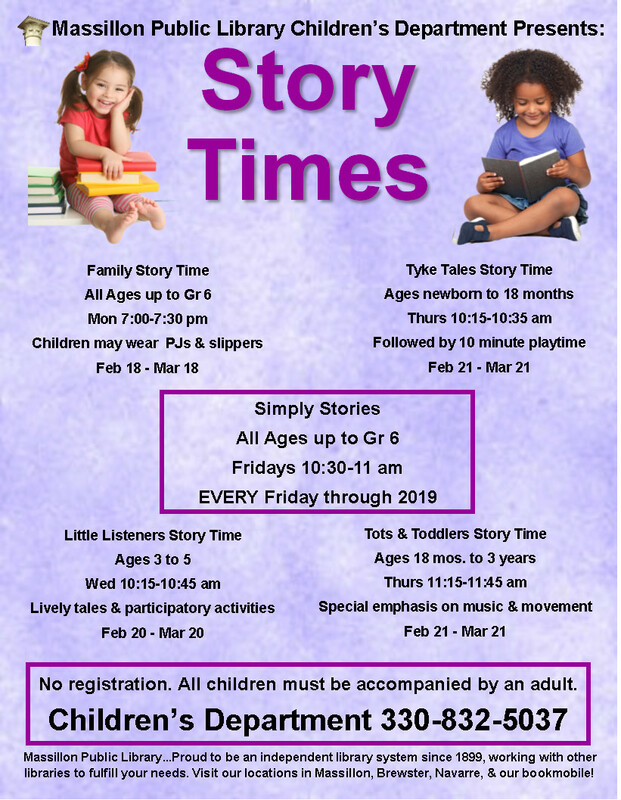 Children attending story time must be accompanied by an adult.